My computer is rebooted, and my hard drive is magically back. Scary! Well, I better finish the E3 blog while I can. Two big hits of the show were right next to each other. The only thing standing between Nintendo’s massive wall and the Oculus fortress was mobs of people waiting to get into them. 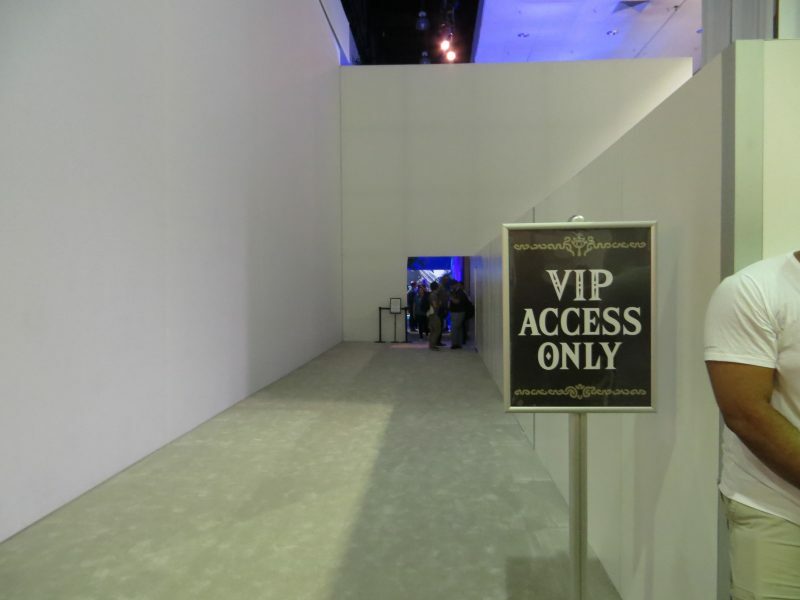 In previous years, Nintendo would have an open area with games for attendees to play. This year, no such luck. The whole booth was a Zelda-themed wonderland with a massive line to get in. 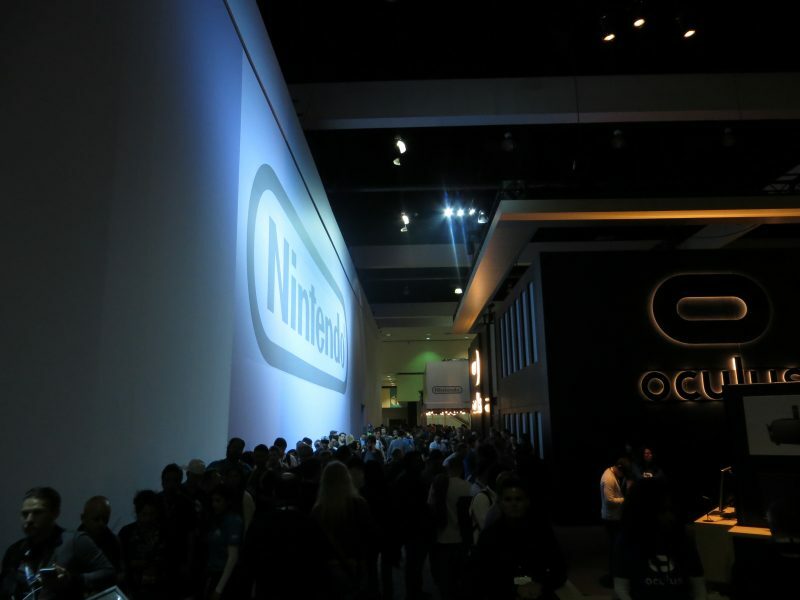 This was similar to the E3 in 2006 when Nintendo launched the Wii, only the line was way longer. 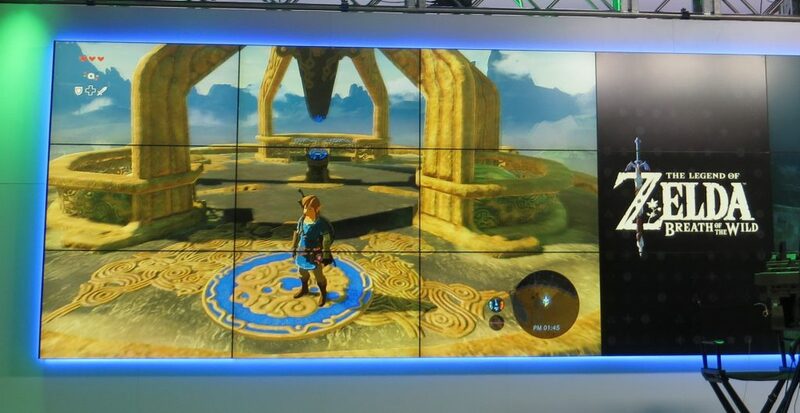 There was no area for the Wii U or 3DS, it was all Zelda. Granted, the game looks amazing, and is a refreshingly modern take on the genre. I have long wanted a new Zelda game with the openness of the NES version. This could be a strong driver of sales of the still unannounced “NX” system. Oculus also had a huge line, which did not let up all weekend. It’s a shame they can’t dedicate more area to playing, as it seems to be the real deal — Cheapo VR setups give me motion sickness. If and when I get a new PC, it will definitely be built to support Oculus so I can explore making VR games. 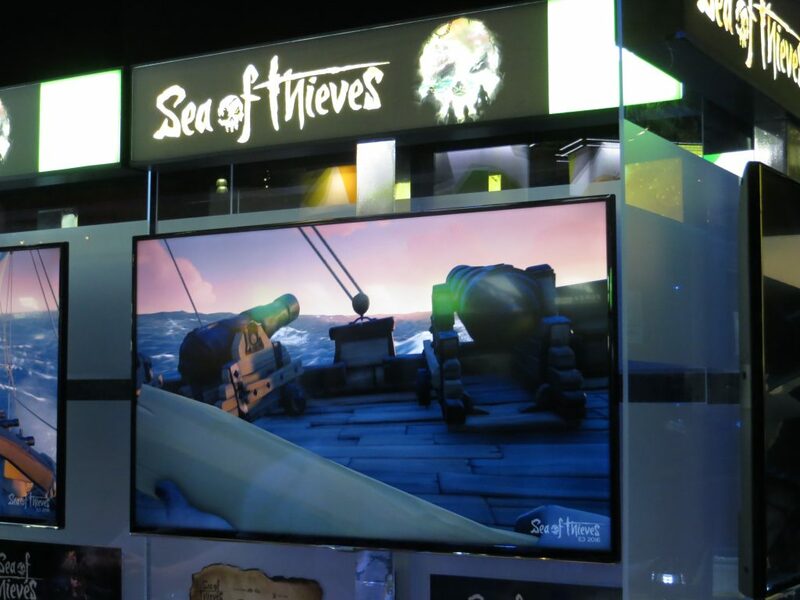 A new title from Rare, Sea of Thieves is a first person pirate game, the demo of which had players work together on a pirate ship. Players were scrambling to fire cannons, repair the ship and even swimming under water on flooded lower decks. The game looks like it’s loads of fun. Oh rad, what’s up GameSpot? 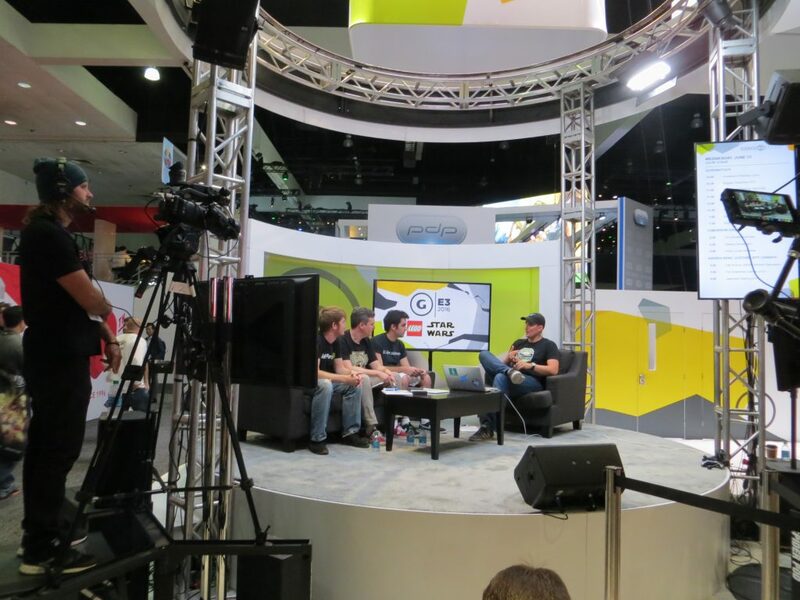 A place to sit and charge my phone while GameSpot was streams live on stage a few feet away? This was a great break from the show. 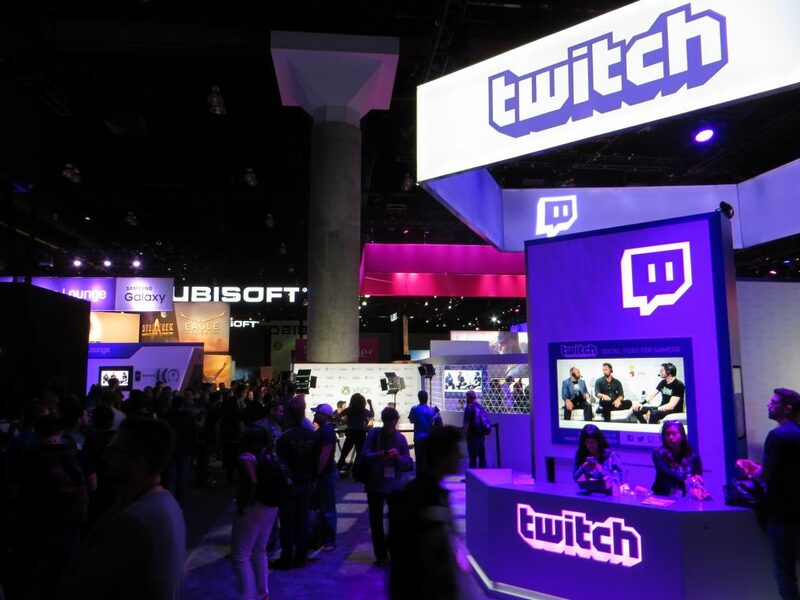 Twitch was streaming live as well; the streaming revolution is surely nigh. Over in the indie space, I found this gem: Inversus from Hypersect LLC. The local multiplayer aspect already won my heart, and the playfield-manipulating, fast paced game play is fascinating to behold. 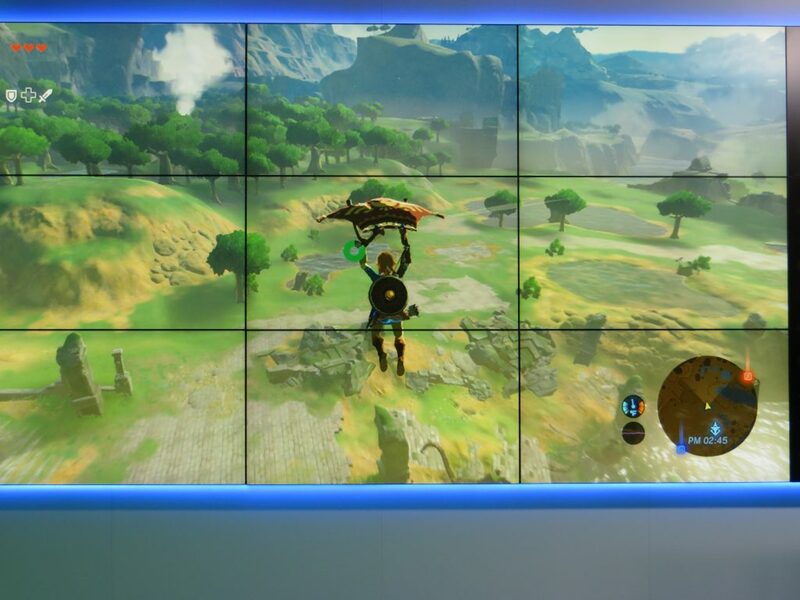 White players are blocked by white walls, black players are blocked by white walls. Your bullets turn your walls into paths for you, and walls for your opponents. While they’re trapped, hit them with a fully charged blast! It looks like it supports up to 4 players at once. File this under the “I had thought of it, but lack the time, resources, vision, hardwork and all-around gusto that these guys did” category: Playtable. 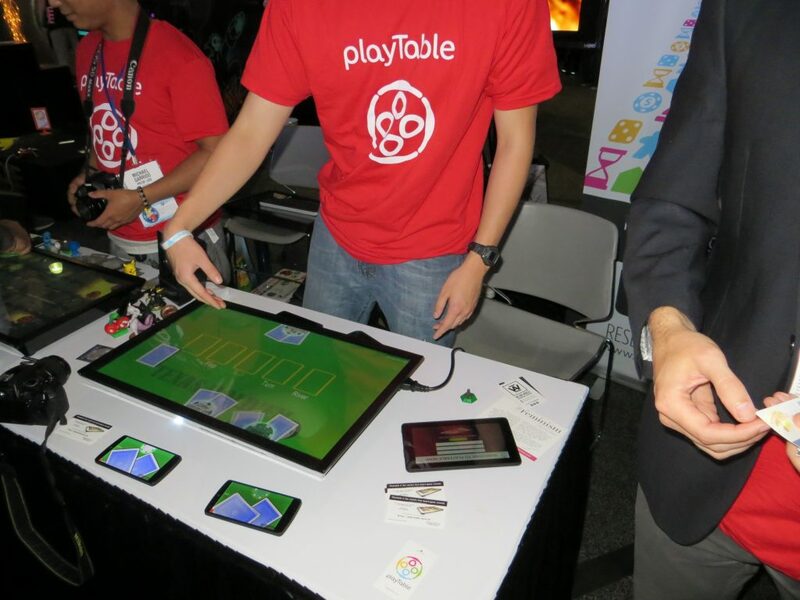 This is exactly what it looks like, tablets combined with phones to make digital board games a flat, tabletop experience for you and your friends on game night. Playtable already have deals with major board games, so you can expect to see your favorites get adopted. 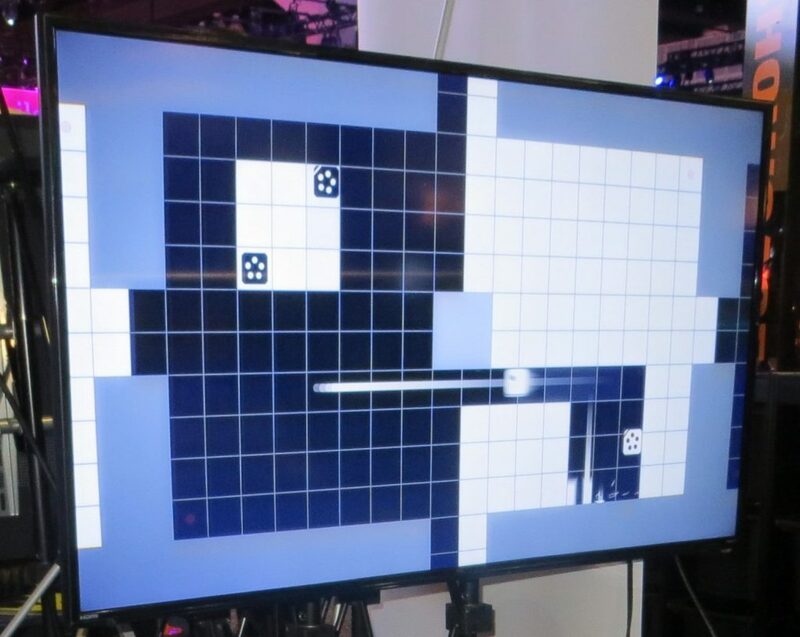 I asked about indie development, as I think this would be a great platform for experimentation and they said they were working to get indies involved. In the mean time, it looks like they have Catan! Lego had two different experiences side by side. Creating a world on the left, and on the right, destroying it with a giant apocalyptic machine of doom while laughing maniacally. 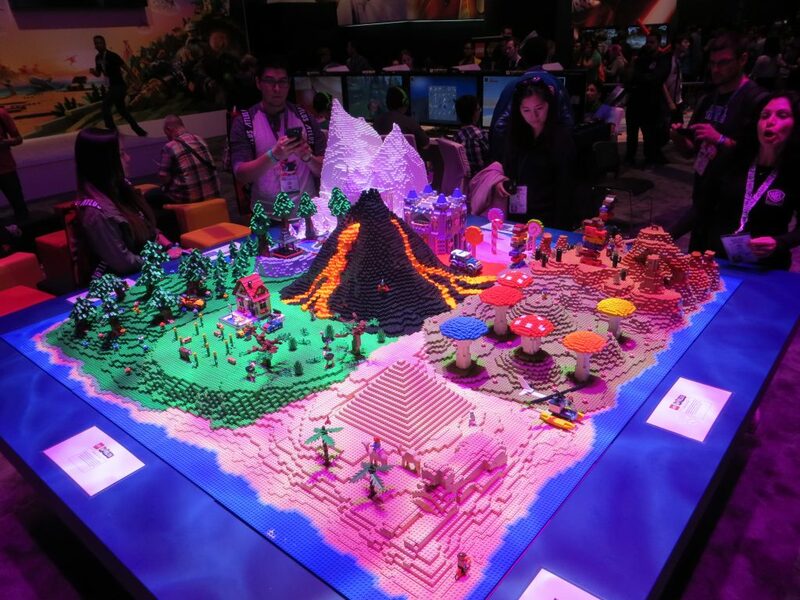 This is the promise of Lego Worlds, to unite the best aspects of Lego bricks: creating a masterpiece and then smashing it to pieces over and over again. The only thing it needs now is 80s style Lego space battles. 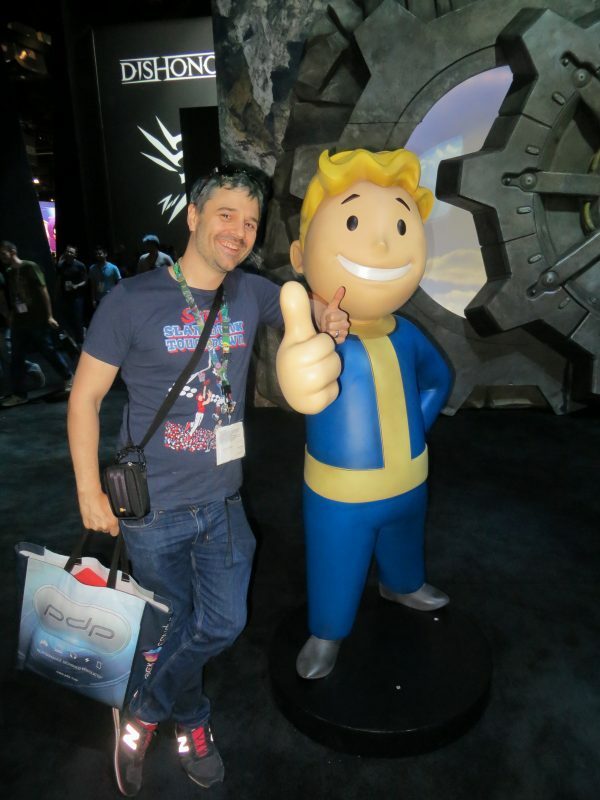 Bethesda wasn’t offering much in the playable demo department, but at least I could wander in and pose with Fallout Boy (the good one). That evening was the ID@Xbox mixer, where I got to chat with other indies who were all very friendly and happy to talk about their experiences and the vision for their games.